“On the final climb, there was an attack and I decided to follow. As I’m not a real sprinter, I don’t always have to wait until the final metres. There was a head-wind after the climb, however, which helped the peloton." 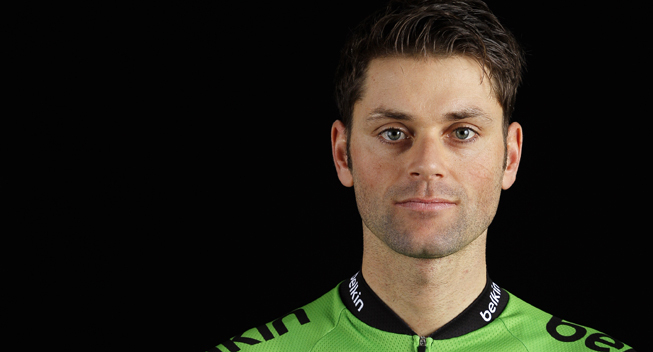 Paul Martens immediately climbed to the top in the first day of the Volta ao Algarve. The German of Team LottoNL-Jumbo sprinted to third place in the opening stage, a 160-kilometre ride from Lagos to Albufeira. Belgian Gianni Meersman of Etixx-Quick Step won the stage and Sky’s Ben Swift finished second. “I would have signed up for a third place before the race, but now, after the race, I’m a bit disappointed,” Martens said.